Coaching/Skiing Credits: TWST coach for 16years Level 200 Alpine Coach. 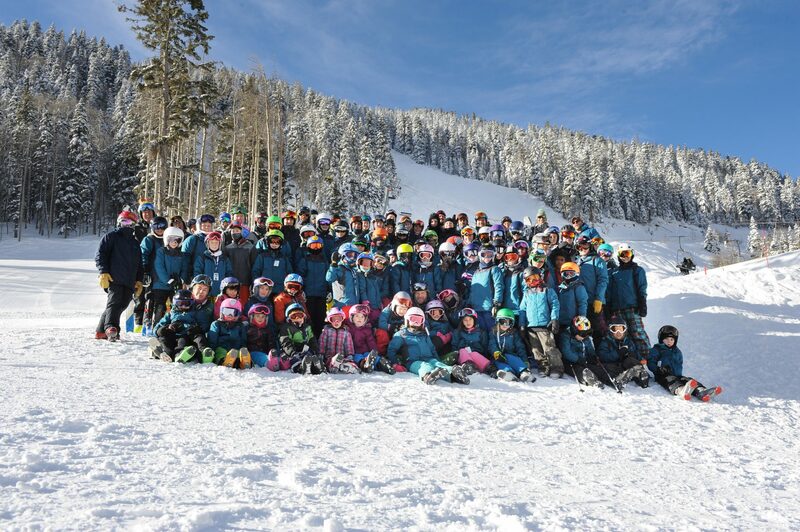 Level 100 IFSA Coach, Member of the University of New Mexico Ski Team for four years. 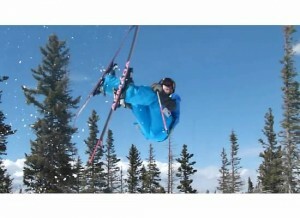 3rd place in the 2011 Taos Salomon Extreme Freeride Championships. Education: MBA Production Operation Management, UNM, 1998. BBA International Management and Marketing, UNM, 1997. Interests and Hobbies: Hiking, kayaking, water skiing, reading, crocheting, traveling. How long you’ve been skiing/snowboarding: I’ve been skiing since my third birthday, and I’m 27 years young. Sponsors (if you have them): Flylow Gear, maybe you? 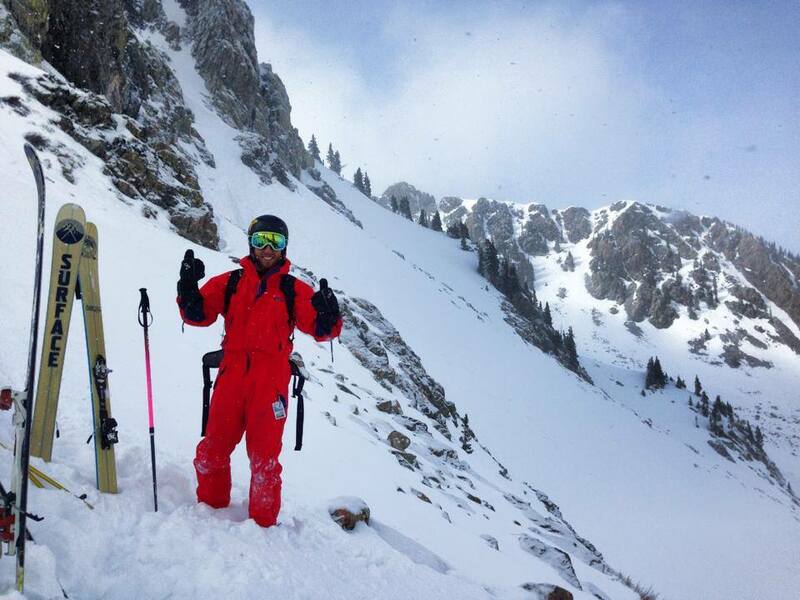 Originally from Santa Fe, NM Avi grew up competitively skiing racing in the Southwest. He attended Bates College, ME where raced on the division 3 team and earned a degree in Philosophy. His thesis was written on flow mind-states achieved through skiing. He is an avid backcountry skier, ceramic artist, and powder hound. I started racing then got into freestyle skiing. I did comps throughout Co. I was totally obsessed with skiing until I started a family. I basically stopped skiing until Juliet was old enough to start. 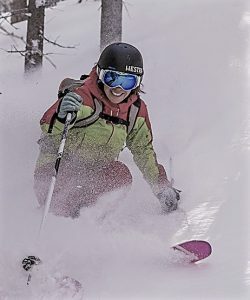 We skied Sipapu for several years. Had fun at Solomon Extremes and a few other back country comps. Then I did a slopestyle comp and was hooked. I had never done slope before this comp. I have done many slopestyle comps. Now I just enjoy every aspect of free skiing especially the park. 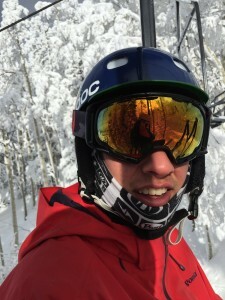 Skiing: Grew up skiing at Taos Ski Valley and Santa Fe, NM. Loves skiing no matter what the day is or what the weather is (Although nothing can beat a deep pow day). 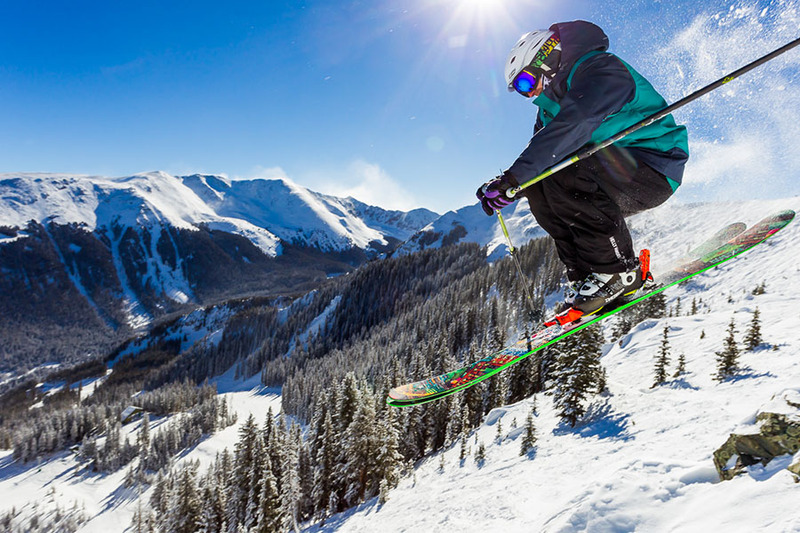 Big mountain skiing is favorite type of skiing and likes to look at the mountain as a natural terrain park. Really enjoys skiing fast, smooth, doing tricks, and giving high-fives to friends on epic days! Education: Currently studying business and sustainability at the University of New Mexico.